Jotun has analyzed the first ever five year dry-docking of a vessel treated with its Hull Performance Solutions (HPS) system. The data revealed that Gearbulk’s Penguin Arrow, coated with Jotun’s SeaQuantum X200 in September 2010, recorded a staggering estimated fuel saving and CO2 emission reduction of $1.5 million and 12,055 metric tons respectively, across the 60-month period. Jotun’s proprietary HPS offer combines the application of an advanced antifouling coating, a specialized application procedure, a full suite of sensors that record hull performance and a high performance guarantee. The coating limits the growth of organisms on the hull, while the sensors measure hull performance and the efficacy of Jotun’s solution, providing a comprehensive insight into return on investment (ROI). Although it varies according to operational parameters, ROI is normally complete within one year of application. Jotun met with Gearbulk regularly over the five-year period to monitor the system and had full access to the vessel’s historical performance data, stretching back to January 2000, allowing for a full comparative analysis. As a result of using HPS, speed loss was restricted to just 0.5 percent over the measured period which enabled the customer to achieve excellent fuel efficiency. This compares to a market average speed loss estimated at 5.9 percent, and a historical speed loss of 6.4 percent for Penguin Arrow itself. 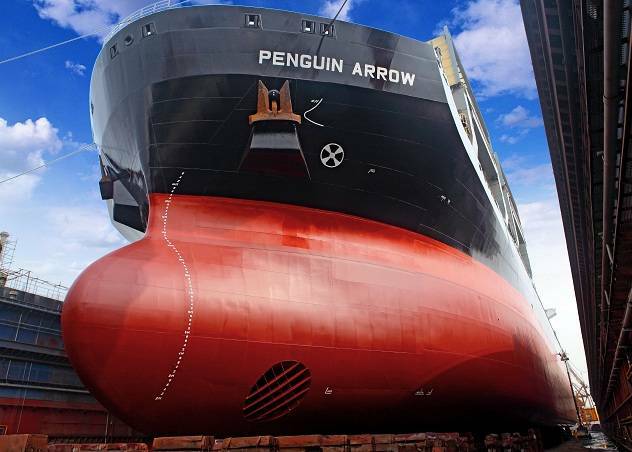 Penguin Arrow’s dry-docking was completed in November last year. Despite undergoing less operational activity than expected and at lower speeds – conditions that would usually encourage fouling – the HPS system exceeded expectations. 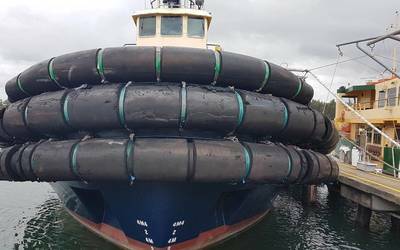 The initial visual inspection of the vessel’s hull showed it to be completely fouling free aside from the usual areas of mechanical damage. 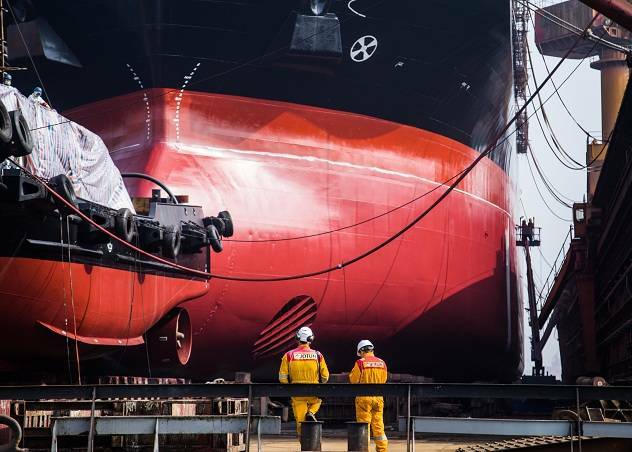 The HPS results strengthen Jotun’s position as an antifouling specialist dedicated to transparency. Since 2013, Geir Axel Oftedahl, Jotun’s Business Development Director HPS has been working with the International Organization for Standardization (ISO) to establish a common industry standard for measuring changes in hull and propeller performance. Now at the stage of a Draft International Standard, ISO 19030 is expected to come into effect later this year, accelerating industry-wide best practices and providing transparency for buyers of fuel saving technologies and services, including coatings.